Fecon recently introduced the FMX Excavator Bull Hog mulching attachment for midi size excavators from 5 to 10 ton. With a 36-in. 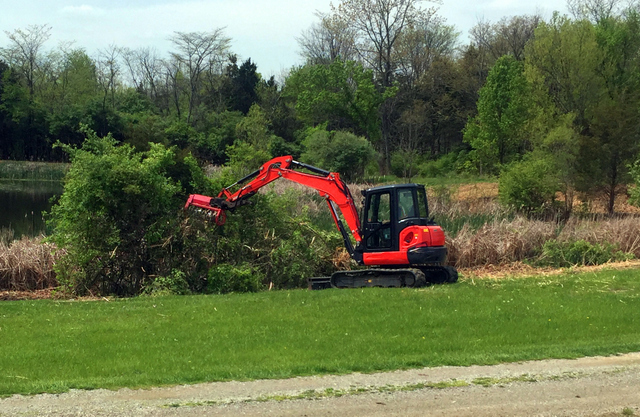 cutting width and variable motor that can be adjusted for 12 to 40 gpm the FMX is a great addition to Fecon’s excavator line up. The 36-in. model weighs 850 lbs and can be mounted on backhoes and side arm booms also. This brand-new excavator head offers a split ring rotor design with our new reversible cubit teeth; giving you the ability to quickly mulch 4-in. material and intermittently mulch up to 6-in. material. With options like a front trap door and crutch mount you can configure the FMX to suit your needs. For more info on Fecon, lick this link. Ha. We mean click this link. Or do we?